Soil Association organic certification. This item is in stock and ready for dispatch. 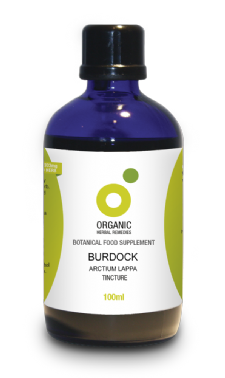 We use only the finest quality, organically produced burdock root. Tinctures are the most bio-available way to take herbal supplements. The specification we use is the same as that required by many professional herbalists. The tincture strength is high with a herb to pure grain alcohol ratio of 1:3. 1ml is the equivalent of 333mg of dried burdock root. We use alcohol as that is the most effective method to extract the synergistic benefits of the whole herb. Some people prefer to consume our tinctures in fruit juice or other flavoured drinks. Burdock root should be avoided if you have known sensitivity to plants in the Compositae family. 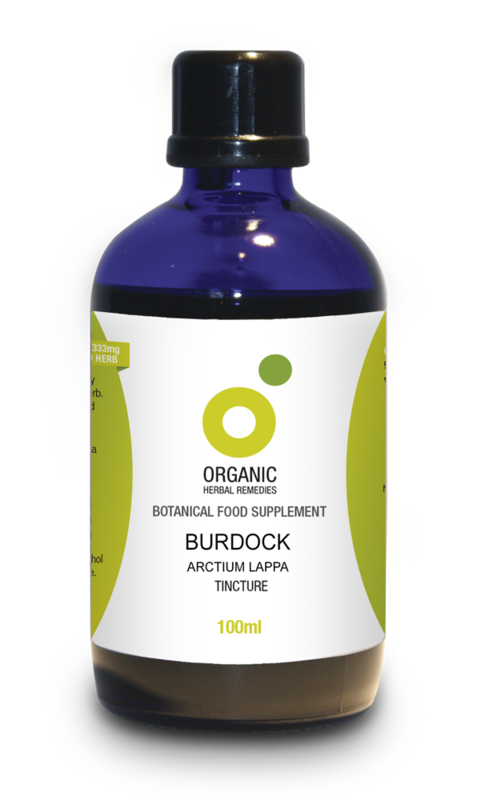 Tincture manufactured in the UK to GMP approved standards. Herb from Europe.